Roger Federer is featured in the latest Gillette TV commercial, highlighting the unrivaled precision of his game with the closest shave a man can get, using Gillette Fusion razor blades. The Swiss maestro also talks about some of the best moments of his career, and takes us behind the scenes, where he wore previous Nike outfits to resemble points of his career from his younger days. He even matches up peRFectly with his hairstyle. Gillette TV commercial featuring Roger Federer, who has been demonstrating outstanding performance time after time unlike any other tennis player. Just like Gillette Fusion ProGlide Power, the best razor with the longest lasting blades according to the leading German testing institute. 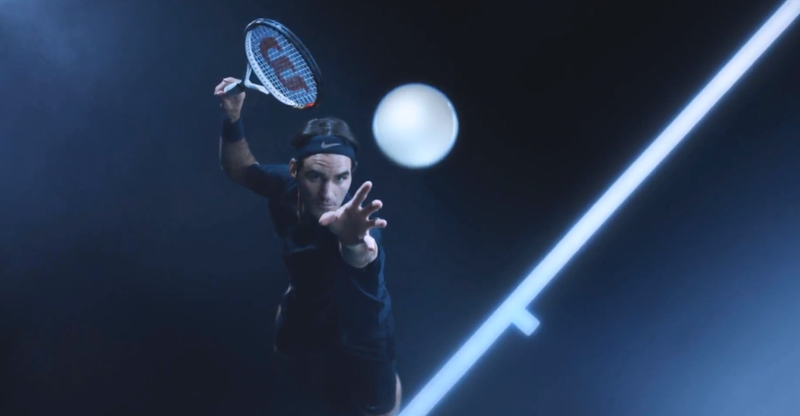 See more photos and video of Roger Federer with blacked out Wilson 98 square inch racquet here. Outstanding performances are the ones that last. See Roger Federer talk about some of his best tennis moments. See Roger Federer’s Nike outfit in Hamburg here. Watch full coverage of the 2013 bet-at-home Open on FF07tv.